In the frame of the European Commission project “Seismic Hazard Harmonization in Europe” (SHARE), aiming at harmonizing seismic hazard at a European scale, the compilation of a homogeneous, European parametric earthquake catalogue was planned. The goal was to be achieved by considering the most updated historical dataset and assessing homogenous magnitudes, with support from several institutions. This paper describes the SHARE European Earthquake Catalogue (SHEEC), which covers the time window 1000–1899. It strongly relies on the experience of the European Commission project “Network of Research Infrastructures for European Seismology” (NERIES), a module of which was dedicated to create the European “Archive of Historical Earthquake Data” (AHEAD) and to establish methodologies to homogenously derive earthquake parameters from macroseismic data. AHEAD has supplied the final earthquake list, obtained after sorting duplications out and eliminating many fake events; in addition, it supplied the most updated historical dataset. Macroseismic data points (MDPs) provided by AHEAD have been processed with updated, repeatable procedures, regionally calibrated against a set of recent, instrumental earthquakes, to obtain earthquake parameters. From the same data, a set of epicentral intensity-to-magnitude relations has been derived, with the aim of providing another set of homogeneous Mw estimates. Then, a strategy focussed on maximizing the homogeneity of the final epicentral location and Mw, has been adopted. Special care has been devoted also to supply location and Mw uncertainty. The paper focuses on the procedure adopted for the compilation of SHEEC and briefly comments on the achieved results. 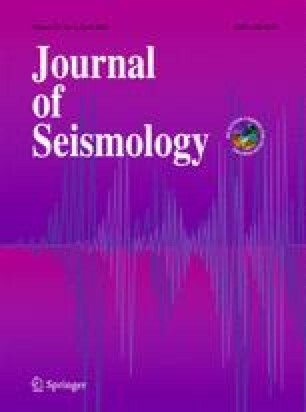 The need for an authoritative earthquake catalogue, covering the whole Europe and a sufficiently long time window, has been increasingly recognised in recent years, in connection with the issues of seismic hazard assessment for supporting building codes, insurance industry and land use planning. Actually, while the number of national catalogues rapidly increased, no catalogue covering the entire European area was available before 2010. Some catalogues covered limited time window and/or regions. The prominent European catalogue by Kárník (1969, 1971) covered the time window 1800–1958, then expanded to 1990 (Kárník 1996). The Unesco “Balkan Project” promoted a major project which led to, among other results, the “Catalogue of earthquakes of the Balkan region” (Shebalin et al. 1974) and the related atlas of isoseismals maps (Shebalin 1974). An effort to compile a European catalogue was initiated by Van Gils (1988), with the goal of preparing, for the first time in a digital form, a harmonised compilation of the historical and recent seismic data provided by national catalogues, with the specific object of producing “seismicity maps” for seismic hazard evaluation at nuclear power plants. The catalogue, published as Van Gils and Leydecker (1991), spanned a time window from the ancient times to 1981 and covered the 12 member countries of the European Community as of 1986. Shebalin and Leydecker (1998) compiled the “Earthquake Catalogue for Central and South-eastern Europe (342 bc–1990 ad)”, with the purpose of extending the “New catalogue of USSR” by Kondorskaya and Shebalin (1982). The catalogue was compiled in two versions: (1) an extended one, containing all the available determinations from the investigated data sources, and (2) a summary one, containing a unified estimate of the parameters with uncertainty assigned. The seismicity of Europe was included in global seismicity databases, such as those by Dunbar et al. (1992), Utsu (2002) and the “Centennial Catalog” (Engdahl and Villaseñor 2002). However, these compilations mostly relied on regional catalogues that were not up-to-date. A catalogue for Central, Northern and Northwestern Europe (CENEC; lat, ≥44° N) was published by Grünthal and Wahlström (2003). The catalogue, covering the time window 1300–1993, was compiled assembling national catalogues supplemented with data from specific studies, with a geographical priority scheme. Mw was assessed for all the earthquakes, through the conversion of the magnitude or intensity of the source catalogue, with published or specifically derived regressions. In 2009, CENEC was expanded to the years 1000 and 2004 (Grünthal et al. 2009a); in addition, the list of input catalogues was updated to include more recently published ones. In 2006, the European Commission project “Network of Research Infrastructures for European Seismology” (NERIES) promoted a module dedicated to establishing a distributed archive of historical earthquake data 1000–1899 and providing methodological experience for assessing earthquake parameters from macroseismic data points (MDPs). In 2010, the compilation of a homogeneous, European earthquake catalogue was planned in the frame of the European Commission project SHARE (“Seismic Hazard Harmonisation in Europe”), to be built on the NERIES and CENEC experiences. It was then agreed that the time window 1000–1899 would be compiled under the coordination of Istituto Nazionale di Geofisica e Vulcanologia, Milan, while the time window 1900–on would be compiled by GeoForschungsZentrum, Potsdam, which later developed it into EMEC, the European Mediterranean Earthquake Catalogue (Grünthal and Wahlström 2012). This paper describes the catalogue covering the time window 1000–1899, hereafter referred to as SHEEC, the SHARE European Earthquake Catalogue. We first summarise how the earthquake list and the relevant background information have been compiled. Then we present the procedures adopted for determining the earthquake parameters from MDPs or from regional parametric catalogues, the criteria for determining the final assessment and the relevant uncertainty. We then describe and comment on the results. Earthquake catalogues are usually compiled assessing parameters from the background information, which consists of earthquake studies, intensity data points, previous catalogues, etc. ; very often, this material is unpublished and available only to national compilers. An investigator wishing to compile a comprehensive European catalogue has little access to most of such material; therefore, in principle, he/she can only proceed recompiling regional catalogues. This procedure, however, has advantages and limitations. The first limitation is that regional catalogues are not always the best source of information for the respective area, because historical information is not always preserved “at home” and may not have been investigated by national investigators. Moreover, regional catalogues are not updated frequently; therefore, the results of the most recent investigations do not flow immediately into them. The second, main limitation is that the inhomogeneity of the parameters of the varied catalogues can be very large (see for instance the results of the survey performed by Stucchi and Bonnin 1995; Cecić et al. 1996, etc.). Van Gils (1988) was aware of such limitations; he clearly stated that, in the future: (1) macroseismic data should be collected systematically, and (2) historical data should be gathered and treated homogeneously, with particular reference to earthquakes with effects crossing national borders. Following these ideas, at the turn of the 1990s, the EC project “Review of Historical Seismicity in Europe” (RHISE, 1989-1993; Stucchi 1993; Albini and Moroni 1994) compiled some recommendations (Stucchi 1994; Camassi et al. 1994). In 1995–1998, the EC project “A Basic European Earthquake Catalogue and a Database” (BEECD) was funded with the aim of establishing and testing the methodologies for compiling a parametric earthquake catalogue of Europe starting from the creation of a database of primary data (Stucchi and Camassi 1997; Albini and Stucchi 1997; Stucchi 1998). Boschi et al. (1995, 1997, 2000) compiled a database of the largest earthquakes in Italy, including short summaries. Compiling, from such material, homogeneous catalogues. This goal was achieved adopting formalised, transparent procedures for determining the earthquake parameters from MDPs. These examples showed that an alternative strategy could allow the two abovementioned limitations to be overcome. Should the background information be available for all earthquakes, earthquake parameters would be determined from them and there would be no need to recompile regional catalogues. SHEEC has been compiled following, as much as possible, the new strategy. At a European level, a distributed archive of background information 1000–1899, called Archive of Historical Earthquake Data (AHEAD; http://www.emidius.eu/AHEAD/), was built (Rovida et al. 2009; Albini and Locati 2009; Locati et al. 2010) in the frame of the already mentioned NERIES project. The same project addressed the tasks of (1) selecting procedures for assessing earthquake parameters from macroseismic data points and (2) testing them to determine the parameters of the largest historical events. The working scheme of SHEEC compilation is presented in Fig. 1. The main current catalogues and the relevant roots, when available. Earthquakes missing in one or more catalogues. As a result of this work, the AHEAD inventory provides a reliable earthquake list, which has been adopted by SHEEC. It contains 4,722 earthquakes with approximately Io > 5 and/or M > 3.5; it covers the territories belonging to EU member states and neighbouring areas up to 32° E.
For about 51 % of them, the roots provide MDPs (42,358 data points), derived from databases or literature (Appendix 1). For 40 % of the earthquakes, we could retrieve a root without MDPs, while for the remaining 9 % we could not. For these events, only the entries from national or regional catalogues are available, without any possibility of tracking the relevant, supporting background information. Figure 2 shows the area covered by AHEAD and the earthquakes with and without MDPs. It is worthwhile noticing that 306 earthquakes with roots providing MDPs, including some destructive ones, are new even to the most recent regional catalogues. These earthquakes are mostly located in Italy and the Eastern Mediterranean, plus some in Germany. Furthermore, for other 812 earthquakes the study providing MDPs is more recent than the regional catalogue. For the purpose of harmonising seismic hazard across Europe, the SHARE project required a homogeneous catalogue based on the most updated knowledge, compiled in terms of Mw, with transparent and repeatable procedures, and with uncertainty estimates of the main parameters. Moreover, as a collaborative project, it also required to consider the regional knowledge supplied by the best, regional current catalogues. Parameters derived from the most reliable regional catalogues. In particular, Mw has been assessed from the epicentral intensity (Io) provided by such catalogues, coherently with dataset (1). The details of how datasets (1) and (2) have been determined are given in Sections 4.2 and 4.3. Obtained from dataset (2), when it is the only available one. B&W (Bakun and Wentworth 1997). A short comparison of these methods can be found in Bakun et al. (2011). They are based on the attenuation of macroseismic intensity as a function of the earthquake magnitude and the distance from the epicentre. They rely on different attenuation models that need to be calibrated with data from modern earthquakes, i.e. with reliable instrumental magnitude and MDPs distributions. Availability of a good set of calibrating data, both instrumental and macroseismic. To ensure homogeneity of the results, the attenuation models required by the three MDPs methods have been derived using, in each region, the same set of calibrating events. As a whole, 482 earthquakes of the twentieth century, with instrumental Mw ranging from 3.3 to 7.1, and supported by 70,752 MDPs, were considered. Several trials of calibration and validation all over Europe allowed for checking the stability of the methods and related regional coefficients. In the end, the choice was in favour of Boxer 4.0 (model 0) for most events of the five regions. MEEP was used for both onshore and offshore events in the UK area. B&W was used for a few, offshore events. Altogether, we have processed the MDPs of 2,410 earthquakes (Appendix 1). Dataset (2) builds on 30 main regional catalogues selected on the basis of their reliability, transparency and covered area; publicly available catalogues and those providing references have been preferred. They are listed in Appendix 2 together with the respective area, the type of size measure, the number of entries considered and whether they quote their references or not. Although epicentral locations provided by the regional catalogues are determined according to varied criteria, we had no other alternative than to adopt them as they were. In the other cases, when Io was available we have preferred to calculate Mw from Io, considering that in time window before 1899 any magnitude value is obviously derived—in some way—from macroseismic data. For homogeneity with the Mw of dataset (1), we derived five Mw (Io) relations (Table 1) using, for each region, the same datasets used for calibrating the MDPs methods. Figure 4 shows the relation determined for the Betic region. In the very few cases when neither Mw nor Io were available (Table 2), we used Ms values considered equivalent to Mw (Bungum et al. 2003; Grünthal et al. 2009a) or we converted the original ML using the relation by Grünthal et al. (2009a). It has been adopted as it is from the AHEAD inventory and, consequently, from the selected study. Summarising, SHEEC epicentres derive from dataset (1) for 37 % of the earthquakes; from dataset (2) for 63 %. We evaluated the distances between the epicentres from datasets (1) and (2) when both are available (Fig. 5). Many of such distances are due to the adoption of MDPs method and updated roots with respect to the regional catalogues. For most of them, the distance is less than 50 km. Distances larger than 50 km are mostly observed in the Broad Aegean and in the UK areas. The assessment of depth is a controversial issue, even for modern instrumental earthquakes. Depth values of historical earthquakes seem to derive, in some cases, from circular thoughts (such as “since in this area there are a few events with such a depth value, all the events in the area may have the same depth”). As for the MDPs methods, only MEEP provides a depth value between 0 and 20 km, and related uncertainty. The adoption of Boxer 4.0, model 0, implies that depth is not assessed for most earthquakes with MDPs. This choice is coherent with the above considerations concerning the poor reliability of many estimates. Therefore depth values, either from MEEP—for the UK—or from the regional catalogues, for a total of 1,079 earthquakes (Fig. 6), are provided in SHEEC as additional information, only. When only dataset (2) is available, the relevant Mw has been adopted. For 224 earthquakes whose background information is contradictory, no Mw has been determined; they are listed in the catalogue with time and location only. The distribution of Mw values is presented in Fig. 7. A few earthquakes with Mw <3.0 are also included. The peak between Mw 3.75 and 4.00 mainly derives from the conversion of Io = 5 or 5–6, of a large number of non-damaging aftershocks from Fäh et al. (2011) and Živčić (2009). Comparison between the SHEEC Mw and the values from the regional catalogues can be made for 1,829 earthquakes for which Mw has been assessed as the weighted mean (Fig. 8). SHEEC Mw tend to be lower than those derived from the regional catalogues. The reason is to be found in: (a) the use of MDPs rather than maximum intensity, only and (b) the use of more recent studies which, as a general trend, provide less severe earthquake scenarios. About 50 % of Mw show a decrease of up to 0.3 Mw unit. Differences reach up to 1.0 Mw unit, either plus or minus, in a small percentage of cases. The issue of assessing of the parameters’ uncertainty is another controversial one. On the one hand, users increasingly ask for it; on the other hand, the variety of rules, criteria and procedures used for assessing location uncertainty is large. Not supplying uncertainty may let the catalogue compilers feel better but it cannot avoid users to adopt arbitrary estimates. Therefore, the SHARE request for parameters uncertainty was accomplished with the understanding, and the warning, that the released estimates are preliminary. The variety of rules, criteria and procedures used for assessing location uncertainty is enormous. Boxer 4.0 and MEEP provide uncertainty estimates for the epicentre, according to their own procedures. In general, the uncertainty depends on the number and spatial distribution of the input MDPs and it is not influenced by other factors such as the magnitude of the earthquake; Boxer provides asymmetrical uncertainty with respect to latitude and longitude. B&W supplies varied levels of confidence of the location as contour lines, difficult to be translated into catalogue parameters. When the number of MDPs is small, all MDPs methods do not supply uncertainty. The uncertainty supplied by regional catalogues show a large variability of values, often derived from unclear or unrepeatable criteria. Baumont and Scotti (2011), Fäh et al. (2011), Martinez Solares and Mezcua Rodriguez (2002) assess uncertainty as classes ranging from a few kilometres to more than 50 km and over 100 km; University of Helsinki (2007), Kondorskaya and Shebalin (1982) and Shebalin and Leydecker (1998) up to 1°. On the other side, Grünthal (1988) allows a maximum of 6 km. Some catalogues such as LNEC (1986) and Soysal et al. (1981) provide only the “quality” of the assessed epicentre, rather than an uncertainty estimate. More than half of the considered catalogues do not provide epicentral uncertainty at all. When the location is chosen from a catalogue not providing uncertainty, default values of 40 (onshore earthquakes), 50 (offshore earthquakes) or 100 km (when a catalogue assessed “undefined” uncertainty or values/classes such as >50 km) are adopted. The distribution of location uncertainty is presented in Fig. 9. The MDPs methods provide Mw uncertainty according to their own procedures. B&W assesses it as a function of the number of MDPs used; MEEP uses a bootstrap resampling technique; Boxer 4.0 computes both formal and bootstrap uncertainties. Among the considered regional catalogues, only Fäh et al. (2011), Baumont and Scotti (2011), Papazachos and Papazachou (2003) and CPTI Working Group (2004) provide Mw uncertainties (see also Appendix 2). where MMwUnc and CMwUnc are the uncertainties of the magnitude values determined, respectively, from MDPs and from the regional catalogues, and w m and w c are the weights respectively assigned to them. The rationale for this decision is that, as the averaged estimates are obtained with different methods, the average variance depends on the variance of all the estimates, proportionally to the weight assigned to each of them. In the calculation of the uncertainty associated to Mw, the weights are interpreted as the multiplicity of each magnitude value divided by the sum of the multiplicities. For the whole of SHEEC, the Mw uncertainty ranges between 0.3 and 1.2, with a higher density around 0.3–0.4 and 0.5–0.6 (Fig. 10). In conclusion, Fig. 11 shows, for the area of Western Alps and Pyrenees and for Mw ≥5.0, the input Mw and the SHEEC Mw values, giving an idea of the “blending effect”. The uncertainties are also presented; they show that in most cases the differences between the Mw values related to each earthquake are within the uncertainty itself. The main goal of SHEEC is to supply the SHARE project and a broad community of users with a European parametric earthquake catalogue, as much homogeneous as possible, for the time window 1000–1899. To accomplish this goal, we used the best available data and the most updated methodologies. To remove a significant number of fake events. The AHEAD inventory has supplied the SHEEC earthquake list. It contains 4,722 earthquakes, including 306 earthquakes so far unknown to regional catalogues. Dataset (1) has been determined for 2,253 earthquakes for which 41,425 MDPs were available. For the first time in Europe, a massive exercise of parameters determination by means of repeatable procedures, namely the methods Boxer (Gasperini et al. 1999, 2010), B&W (Bakun and Wentworth 1997) and MEEP (Musson and Jiménez 2008), with attenuation models homogeneously calibrated throughout Europe, was performed. Dataset (2) has been determined for 4,221 earthquakes. We have assessed Mw from Io for 1,579 earthquakes, using five ad hoc relations obtained with the same datasets used for calibrating the attenuation models mentioned above. Magnitude—it has been calculated as the weighted mean of Mw from datasets (1) and dataset (2) giving higher weight to the values determined from MDPs methods. The final SHEEC parameters derive entirely from dataset (1) for the 10 % of the earthquakes and from dataset (2) for 50 % of the cases. An uncertainty estimate has been assessed for both location and Mw of all entries, using the values provided by either dataset (1) or (2). When Mw has been determined as weighted mean, the uncertainty has been assessed as the square root of the sum of the squares of the uncertainties, each multiplied by its own assigned weight. The basic elements for the completeness assessment are described in Appendix 3. In conclusion, we believe that SHEEC 1000–1899 represents a step forward from many points of view, which was made possible by the collaborative effort of many investigators and by the initiative of two European Commission projects, NERIES and SHARE. Authors are aware that not all problems are solved yet; the main ones are the lack of background information for many events and the lack of data, including those of the twentieth century, for improving the attenuation models. We believe that the community of European investigators will be able to improve this situation in the future. The catalogue is available at http://emidius.eu/SHEEC/. Earthquake catalogues are generally compiled by individual scientists or small teams. SHEEC 1000–1899 stems from the collaborative effort of several scientists—included in the authorship—either partners of the SHARE project or independent contributors. The catalogue owes much to other scientists, who contributed basic data to AHEAD, namely R. Camassi, I. Cecic, R. Glavcheva, G. Grünthal, Ch. Hammerl, C. S. Oliveira, A. Roca and R. Wahlström. We also acknowledge the contribution of R. Basili, F. Carrilho, V. D’Amico, J. Fonseca, B. Glavatovich, P. Mäntyniemi, C. Mirto, M. Pagani, G. Valensise and M. Zare. J. Wössner took care of the full use of the catalogue into the SHARE hazard computation. A special thank goes to Bill Bakun for his constant and precious assistance dealing with the earthquake parameters determination. This work has been supported by the EC-Research Framework programme FP7, Seismic Hazard Harmonization in Europe, Grant Agreement No. 226769. SHARE required the catalogue to be delivered together with the assessment of its complete time-intervals for varied Mw thresholds. In this Appendix, we briefly summarise the procedures used and the obtained assessment. The assessment of completeness is usually performed according to statistical analyses of the catalogues (e.g. Stepp 1971; Tinti and Mulargia 1985; Musson 1999; Albarello et al. 2001), based on the assumption that the seismogenic process is stationary. An alternative approach is the so-called “historical” one (see for instance Stucchi et al. 2004, 2011). It starts from the investigation of the “earthquake history” of a place, that is, the chronological series of earthquake effects at a place (see the earthquake history of Seville, Spain, in Fig. 12). A destructive earthquake, able to produce intensities ≥8, usually left traces in the historical accounts: such traces can be preserved or lost, depending on many factors. The approach requires the investigation of the main sources of information to understand whether the gaps in the earthquake histories are due to lack of earthquakes or to lack of sources. Then, using several places as the elements of a network one can assess the completeness starting year for a destructive event (Mw ≥5.8) in that region. In a similar way, one can assess the completeness starting year for Mw 6.8 that is a highly destructive shallow earthquake that may cause intensities ≥10 in Europe. For PSHA purposes, the completeness assessment is needed in each seismogenic area source used in the computation. Conversely, it happens that historical considerations apply to areas larger than individual seismogenic area sources. For this reason, 22 macro-areas, considered to be fairly homogeneous with respect to historical aspects (Fig. 13), were defined grouping together single seismogenic area sources of the SHARE model (Arvidsson and Grünthal 2010). The earthquake histories of some significant places (Fig. 13), obtained from AHEAD, were considered to determine the completeness starting year for Mw 5.8 and 6.8 in the macro-areas where earthquakes of such Mw values are present. Such analysis was complemented by the analysis of the seismicity time-distribution and by expert judgement of local investigators. The final assessment for Mw ≥ 5.8 and ≥ 6.8 is presented in Table 5. Stucchi M (ed) (1998) The EC project “A Basic European Earthquake Catalogue and a database for the evaluation of long-term seismicity and seismic hazard”. Final Report. Milano. Available from http://emidius.mi.ingv.it/BEECD/BEECDflow.html. Accessed 27 June 2012.